Transfer to hotel and check-in. Free at leisure. With packed breakfast from the hotel, enjoy a beautiful sunrise as you travel to the town of Moalboal, a divers paradise. Hop on a boat for a 10-minute cruise to a marine sanctuary and catch "nemo" in action. Corals so alive and waters so clear, explore this underwater paradise for about 30 minutes then our boatman will bring you near to shore where literally millions, yes millions of sardines and sea turtles (seasonality) reside. If you are lucky enough, catch our playful dolphins in action. Proceed to Kawasan Falls, a mere 30minutes away for a trek and cool off in its clear refreshing waters and delight in a picnic lunch by the falls. Hotel breakfast then check-out. Departure from Cebu to El Nido (75mins) via Airswift. Check-in. Free time. Breakfast. El Nido Island hopping tour: Big Lagoon, Small Lagoon, Shimizu, Secret Lagoon and seven commando with a picnic lunch. Breakfast then check-out. Depart El Nido for Coron via ferry (3.5hrs). Transfer to hotel and check-in. Free time. Breakfast then Coron island hopping tour with lunch: Siete Pecados, Kayangan Lake, Beach 91, Skeleton Wreck, Malwawey Coral Garden, CYC Beach and Twin Lagoons. Breakfast then check-out. 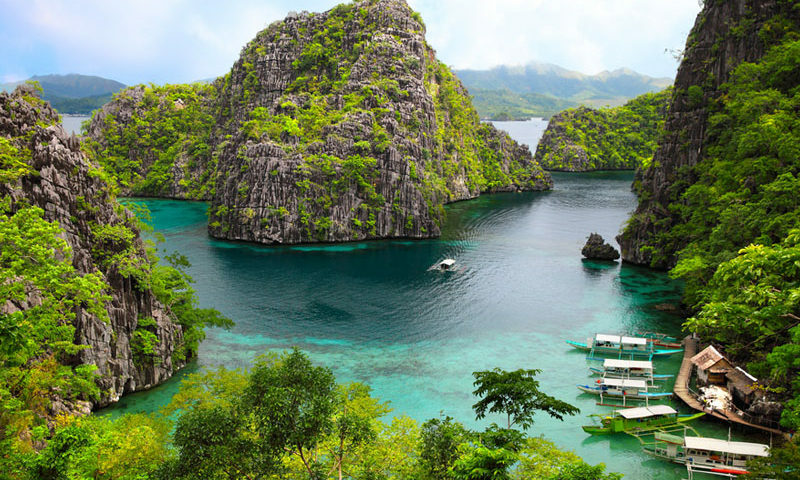 Depart from Coron to Cebu or Manila (by plane). Rates per person in US Dollars. Rates subject to peak season surcharges: Easter, Christmas, New Year & Chinese New Year. Child’s rate is applicable to children ages 3-8yrs old. Min of 2 persons to go. Domestic airfares are subject to availability and supplemental charges.